Temperatures have begun to rise into the 80s here in Phoenix which means another soup season is quickly winding down. 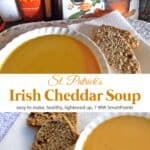 So I took advantage of what remains of March to make this Saint Patrick Irish Cheddar Soup for St. Patrick’s Day. Creamy and flavorful, I served it with smoked salmon and whole grain Irish soda bread for a light yet satisfying Sunday night supper. 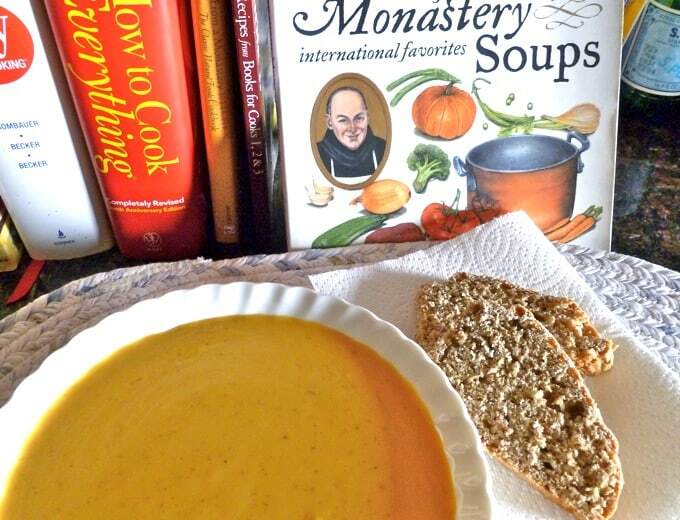 The recipe for this Saint Patrick Irish Cheddar Soup is from Twelve Months of Monastery Soups by Brother Victor Antoine d’Avila-Latourrette, my favorite soup cookbook, filled with the kind of easy, delicious, nourishing recipes that I find a joy to make. Arranged by month, it’s a seasonal celebration of the art of soup making. I’ve been enjoying the leftovers this week for lunch. Each 1-1/4 cup serving has *7 Weight Watchers PointsPlus, *9 WW Freestyle SmartPoints, if made with whole milk and full fat cheese. I’ve been experimenting with adding a bit more fat to my diet lately with really good results. But if you prefer, you can use skim milk and reduced-fat cheese, which will decrease the PointsPlus value to *6, and Freestyle SmartPoints to *7. Enjoy! 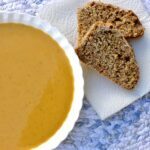 If you’ve made this Irish Cheddar Cheese Soup, please give the recipe a star rating below and leave a comment letting me know how you liked it. Creamy and deliciously satisfying, this cheddar cheese soup is ready tin under an hour. Clean, peel, and chop the vegetables. Melt the butter in a soup pot and saute the vegetables over medium heat for about 3 minutes, stirring frequently. Add the stock, garlic, herbs, and seasonings. Bring the soup to a boil, then cover the pot, lower the heat and let simmer gently until the vegetables are fork tender, about 30 minutes. 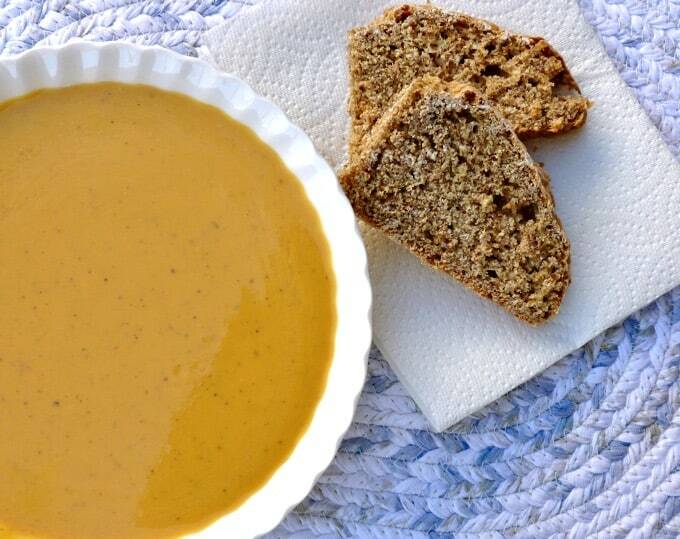 Let cool slightly and then puree the soup in a blender, being careful to hold down the lid. Return the soup to the pot. Add the milk and cheese and heat on low, being sure that it does not come to a boil.